Does this reflect that most (if not all lenders) would borrow only 5.5% of loan amount * 1.25 for operating costs. Then surely 75% LTVs may not stack up any more. One would have to go for 60/ 65% LTVs to make the figures work? Looks like you were unfortunate to miss the exchange date by a week or so. If you had exchanged prior to 25th Nov, it wouldnt have mattered if you completed post 1st April as your exchange would have happened in the stipulated window. Cant see a way out of paying the additional stamp duty IMHO. Lenders do allow extension of a mortgage offer if completion doesnt happen in the 6 month period, but this would be something you may have to take up with them. 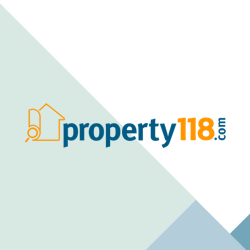 Which Stamp Duty for new residential property? As far as I am aware this is a bit of a grey area which has not been clarified in the current of announcements. How 'Let to Buy, gets treated in the new changes will be eagerly awaited. Your solicitor might be able to throw some light on it.